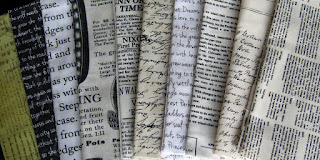 Lynette at Sew.Knit.Grow has a lovely collection of text fabrics. These are very on-trend right now. They also make for incredible low-volume background fabrics.